The GWPF Responds To New IPCC Report | Watts Up With That? London: For many decades to come, and probably longer, mankind’s influence on the frequency of extreme weather events will be insignificant. According to a preliminary report released by the IPCC, there will be no detectable influence of mankind’s influence on the Earth’s weather systems for at least thirty years, and possibly not until the end of this century. The Summary for Policymakers of the Special Report on Managing the Risks of Extreme Events and Disasters to Advance Climate Change Adaptation, is in stark contrast to other statements made by the IPCC. It shows that mankind’s influence on the weather is far smaller than natural factors. Even making the questionable assumption that our computer models are good enough to predict what will happen in the future, for projected changes by the end of the 21st century, the uncertainties in those computer models, and the range of natural climatic variability, are far larger than any predicted human-influenced effects. Extreme weather events have always been with us, and will continue to be so. It is the international community’s responsibility to make those likely to be subjected to them become more resilient. “Natural Variability To Dominate Weather Events Over Coming 20-30 Years”…. aaaaannnndddd pretty well all the years before. That is all, thanks. Just like during the previous 4.5 billon years. I was just watching BBC News, their report was just man made GW propoganda it is a disgrace! These masters of the new Lysenkoism shouldn’t be given an inch.They are trying to make it survive by going under water for a while until the idiots like Gore are forgotten. The reality is that net CO2-AGW could even be slightly negative now and the real AGW has probably come from another direction, and has now saturated. Remember, warming of the deep southern ocean starts 2000 years before any atmospheric CO2 rise: the mechanism is the same as governs the present Arctic 60-70 year oscillation. I would say that the contradictory nature of the two press releases from the IPCC show for certain just how settled the science really is (NOT). To summarize, sometimes human influences dominate and sometimes natural influences dominate. But that doesn’t undermine AGW theory or in any way discredit the climate model “scenarios” presented by the IPCC. I hope this means ‘game over’ for the CAGW scheme. It is amazing how the truth and light can change ones view. I did not read the actual report as 8 mb file was more than I wanted on dial-up at this time. But I can imagine the shrill screaming to come from the ‘Believers’ at Durban. A collapse of their religion and the end of the free money and exotic vacations as well as the loss of credibility, maybe safety netting should be placed on the balconys at Durban should they swallow any more green kool-aid. Well …. maybe free green gowns and bus rides to a cliff overlooking the ocean where they can prove their faith would be a better idea. In other words: There is a consensus, the science can’t be questioned, but don’t ask for a testable hypothesis. The Great OZ has spoken. I have great respect fro Dr David Whitehouse. He used to be the only objective science correspondent at the BBC. Their science coverage has become abysmal since he left. I shared a platform with David a couple of years ago. He really knows his stuff. It is obvious why the BBC only interviews warmists nowadays. If they came up against David they would be made to look the fools they are. Oldjim, to me it seems as though that is a sensational headline compared to the actual content of the article. On the possible change to hurricane patterns, it said: “Average tropical cyclone maximum wind speed is likely to increase, although increases may not occur in all ocean basins. Much of the rest of the article has little to do with the actual Summary for Policymakers of the Special Report on Managing the Risks of Extreme Events and Disasters to Advance Climate Change Adaptation, and instead focuses on other papers and previous IPCC ARs. What happened at the IPCC? Someone finally throw all the Greenpeace and Fiends of the Earth, WWF and other eco-terrorists out? The UN is a political organization and will remain a political organization. They lost their credibility among those in the science community at large so now they are forced to repair it before resuming Maurice Strong’s agenda. This is the IPCC, right? On the face of it, this sounds like climate alarmism now hasn’t a foot to stand on. The only reason for Kyoto and government policies was to do with alarmism. Without alarmism, there IS no reason for any carbon policies. Did we win, then? Did the CRU scientists embedded in the IPCC see the light? Once they removed all the WWF pamphlet-isms, did they not have enough left to underpin the “Humans are evil” position? The press release propogates the IPCC’s error of confusing “projections” with “predictions.” Predictions are falsifiable by reference to evidence while projections are not falsifiable. The climate models make projections NOT predictions. Look carefully at SPM.3 on page 20 of the pdf. They have colored everything under the shifted curve, rather than just the area between the two curves that actually shows differences. It may be hotter but it may be colder. There again it may not change. We may not see the effects of AGW for 30 years when everyone will have forgotten what we said. We will see more heat waves and more heavy rainfall but there again we might not. The truth is we haven’t got a clue after all this research but we are getting suspicious that the planet is going to cool down making us look like a bunch of idiots, so we have covered all bases. We will be right whatever happens. I see nothing in the IPCC Summary that is cause for alarm. I think they made some very good points about “low regret” preparations for climate change and weather, which is only common sense. However, an alarmist (BBC) could pick and choose and amplify and arrive at a very different conclusion, which is apparently what they did. The version we can see now is preliminary, and will likely (high probability, robust evidence) be re-written and take on a completely different flavor. Save a copy of the reports for comparison with the final versions. $79B spent on climate change study. Conclusion: It might get hotter/colder/drier/wetter. We don’t have any idea. Brilliant. Obviously, we did not spend enough yet. The world can expect more extreme weather events in the decades ahead, with an increase in heatwaves, droughts and floods, according to a report released on Friday by the Intergovernmental Panel on Climate Change…Although the IPCC emphasises the uncertainties of climate predictions – particularly when it comes to regional changes – it expresses confidence that overall the world will experience more disruption through extreme weather as levels of carbon dioxide and other greenhouse gases rise. I still say it was a better scam than the pet rock… not by much mind you save for the profiteering but to Gary Dahl’s defence on that issue, he hadn’t foreseen that using a “By Scientific Consensus” and a tearful “Think of your children’s children’s children!” would increase sales a hundredfold and more. This strikes me as game-changing news, and worthy of being stickied. Or, what am I missing? After reading the summary, I certainly am more or less uncertain about which way the wind is blowing. Or is it? Amazing, I just read it and picked up the same highlights as you did. I hadn’t checked here before writing on my blog. The one above, is what I think as most noteworthy. The IPCC finally agrees with what many skeptics have been saying all along. Given the recent awards to Hansen and Mann, isn’t some sort of cash prize or medal due to Dr. Ryan Maue? Here is Seth Borenstein’s take on everything. If you talk to enough people, you’ll eventually find someone who says what you want. They do not mention that they have no clue what will be happening 90 years from now. Natural variability includes climate warming and cooling in cycles and, being overdue for an ice age, it is more likely that we will be in a cooler state than now. This is recognizing the fact that each event from the Holocene Optimum, the Minoan Warm Period (WP), Roman WP, Medieval WP, and recent WP have successively been colder peaks—it’s a downward trend no one wants to note, but we should. Unfortunately, this is true if we are entering a cooling period. Cooling will cause catastrophic weather. Warming is a pleasant walk in the park. The science is settled. CO2 is not the big bugaboo. Then you are just asking them to come back like a bad rash. Let ’em go, be done with it. Meanwhile, over at Bishop Hill you have an intersting interview by BBC Newsnight with Myles Allen of Oxford University, he of “we can predict the future brigade”, ex-UNEP bod, privately educated, muddle-class, (why do all the eco-nutters come from such well-healed backgrounds) against a somewhat changed Mike Hulme, of University of East Anglia (yes that one subjected to three whitewash reports all purporting to review the science of climate change & each passing the back by saying it was not in their remit)! Kimosabee IPCC speak with forked tongue! If this is true then it makes me wonder how many of these people are aware of the problems in the temperature record prior to the sat data. They obviously are predicting that the PDO will dominate the climate. Seems like a desperate ploy to keep the gravy train going for a few more decades. Like Phillip Bratby I want to put on record my respect for Dr David Whitehouse whose writing has always been informed, thoughtful and scientific in outlook. He was the best science correspondent the BBC ever had and since I believe he is still reasonably young always wanted to know why he left the BBC (or perhaps the BBC left him.) I would also praise the gentlemanly and restrained way he conducts his work. It seems with this IPCC report he hasn’t “cherry picked” a few quotes out of context as someone said, rather he has, again, zoomed in on the very heart of the matter and the central logical flaw in their argument. Isn’t this what journalists should do. Read for example the dreadful piece by Damian Carrington in the Guardian. Where does Mr Carrington even mention the key fact from the IPCC report, that it will be 20 or 30 years before any human signal is seen above natural variability. This is partisan, incompetent journalism. It is a shame some in the press deride thee GWPF as being against climate science. In fact, they are one of the few sources that actually deals with the science, unlike the BBC and the Guardian. It’s the other way around, the weather and ultimately the climate will have an EXTREME influence on the activities of Mankind. Mother Nature bats last, but my notion of that at-bat has nothing to do with warmth. No but they now know that every assertion they make will be dissected with a fine tooth comb by the skeptical blogosphere. Which means false and unsupported assertions will be proven to be false and make it easy to undermine the report. So now they have to retreat to the global warming will kill us all if we don’t act today, but we won’t be able to find proof for a few more decades. It lets them claim that the nonexistence of warming is not evidence that warming isn’t happening. So it is worse than they thought, but natural variation is making it look like warming is not occurring so believe their models not the thermometers. I don’t know if the following observation should be made on this site or an economic site. I originally wondered why so many governments were so eager to implement a taxes so severe and all-encompassing that it would result in reducing consumption and standards of living. Now we have governments being forced to implement higher taxes and austerity programs to pay for the irresponsible spending programs of those governments. Same consequences, different reason. Could the political class have foreseen the coming debt crisis and tried to solve it through fear of climate change? That would have left them in power (hey, it’s not MY fault, it’s YOURS for driving your cars) despite higher taxes and austerity programs. If that was so, it failed, and those politicians are being booted out. I hesitate to believe that any politician was intelligent enough to see the coming economic crisis a decade ago and try to shift the blame to climate change, but the coincidence that higher taxes and austerity plans are possible solutions to both manmade climate change (if it existed) and irresponsible government spending is suspicious. When the temperatures go up, that’s manmade, but when they don’t go up, or go down, that’s natural variation. Beautiful. I don’t get it. After years of screaming that it’s our fault that CO2 is causing the earth to warm, now despite the abject failure of Kyoto to control CO2 emissions and the exponential increase of those same emissions, which will continue for quite some time yet, suddenly they tell us, “Nevermind!” for the forseeable future! I thought our deadline was 5 or 12 years max before we reached the point of no return! Algore was yelling this in my face and everyone else’s! These people have no conscience or soul! It was all for the money and control. Nothing more. They’ll be back. Mark my words. If true, I have a question: Exactly what good then are the ‘climate models’? Seems to me we are witnessing the machinations of an organization whose raison d’etre has been whisked out from beneath them in the manner of a tablecloth whisked out from a banquet setting: nary a stem-ware toppled nor napkin unfurled, but suddenly not quite so glamorous, yet the maitre d’ insists that nothing has changed….! This is amazing: The Skeptics have WON: Its the Nature! The human “footprint of the Yeti”, (AGW) cannot be detected for the next 30 years, so the Yeti is about to die…..he is not around on the climate scene anymore ……. I looked for “GLOBAL WARMING” , as my book ist called “The end of global warming”, but this new SREX detects neither Global Warming by CO2 nor the End of it…..no more of it…..
this envisaged goal of climate protection…..maybe we should emit more CO2? is purely natural and has nothing to do with man&woman made AGW…. They are good as analytic tools. Solving a computer model generates a simulation which can be inspected for clues about the consequences of the modeler’s fundamental assumptions, the assumptions about climate that are at the heart of the model. But this is analysis. The great error was in using computer models as substitutes for sets of physical hypotheses. Unlike physical hypotheses, computer models have no predictive power. Let me anticipate the question: What if your physical hypotheses are embedded in the computer model? The answer is that the models serve as analytic tools to aid in discovery of assumptions in the physical theory that have not been recognized. The model is always and only an analytic tool. So does this mean that the danger point for CO2 accumulation is above 600 ppm. Will 350.org become 600.org? First, this report doesn’t back down from the claim that the world will continue to warm. This report is only from a subcommittee dealing with weather, not climate. Second, this is nevertheless a positive “black swan” (unexpected good news). It will put a damper on the alarmists who are “clutching their pearls” about Irritable Climate Syndrome (erratic weather). Following the total annihilation of the IPCC’s credibility by Donna Laframboise in her recent “The Delinquent Teenager who was … etc, etc”, why is anyone even bothering to report, consider or comment upon anything put out by this ludicrous organisation? As she clearly demonstrates, “The IPCC was established by politicians, its experts are selected by politicians, and its conclusions are negotiated by politicians. A predetermined political agenda has been part of the landscape for the past 20 years”. So, we can no longer judge the warmists visa vi what actually occurs. How convenient for them. They can just go on making things up to support their idiotic ideas and simply tell us that all the bad stuff that is going to happen is somewhere in the future. This, while they destroy the economies of the “free” world. The goal, of course, being the end of what was at one time the free world. Australia is still bothering me, can’t say anything bad about a government policy–carbon tax. I guess the old saw about people getting the government they deserve is true. We have Obama and they have whoever is running that show.No real democracies have lasted very long since the Romans, and their intermittant more intelligent dictators probably kept them going for longer than the republic could have sustained using any democratic principles. the warmists will keep their AGW approach but shift the goal posts into the future after we have died and only the next generation is able to verify it……Great, they dont have to take anything back….they stay how they are…..no need to self-criticism….. I see the IPCC hasn’t got around to hiring a statistician. As reported here a few days ago, we know this is due to aerosols. So CO2 has raised global tempertures for the last 30 odd years?…now its influence has waned and will continue to do so for the next 20-30 years despite the year on year rise in global emissions! how is this scienitifically possible?if its there in the atmosphere and if its such a powerful green house gas surely it should continue to do its continued warming,is it not stretching the laws of physics…. too far. and if 390ppm+ will not have an affect on the climate then how can they say that the last 30-40 years of warming were caused by CO2..game over?? To a large extent, widespread failure to understand this, is the root of the problem. And, this is where the projection, prediction confusion comes in. The modellers know that the outputs of their models aren’t valid scientific predictions. That would require the models to be wholly based on well articulated physical hypotheses, which none of them are. So they call the model outputs, projections. Which means they have no scientific validity. Irrespective of whether these projections are correct or not. I’m having a running fight with Peter Fimrite who wrote that all of the SF Bay areas marshlands will be drowned by rising seas! This is his comment about the ‘500 year FUD’ about rising seas. They did it in 1995 to “discern” mans influence, they’ll do it again. I think Theodore@10:18 has neatly summed things up. So after they wrap up this report, the IPCC can promptly disband, and no sooner than 20 years later the UN can decide if they want to reform it if there is enough of a detectable and troubling anthropogenic climate signal to warrant an update. Provided there still is a UN. Sounds good to me! The IPCC now realises that nothing dramatic will happen in the next couple of decades, so they are deliberately kicking ‘warming’ into the long grass. That way, they can still keep up the scare stories going, and the funding coming in, but just point towards the far future in three or four decades from now. It has always been about money and control. We just have to watch for the next scam. This report is a feeble attempt by the IPCC bureacracy to salvage its tattered reputation. Better to retreat and live to fight (i.e. propagandize) another day then to see the entire organization wiped away by a tsunami of mounting criticism. By the way, I note that the report continues to assume that mankind’s piddly CO2 emissions have the extraordinary capacity to change the earth’s climate. It’s an hypothesis that’s never been proven, despite the indefatigable attempts of the most creative computer modelers and crystal ball gazers on the planet. Anyone who thinks this is the end of the game just hasn’t understood the script. No…really! The Dudley Do Right s have simply pulled the well tried postponement manouver. Can’t prove ’em wrong because they’ve put it off so far into the future that no-one can check. The BBC reported this with great flourish and glee but did not mention the uncertainties to the extent that the IPCC state. The BBC version is 66% uncertainty whereas the IPCC version is lower. hmm, whys the ENSO meter gone down? does it need a kick again? surely we didnt cop a sudden reversion in a matter of days..
so the money they planned to be going 3rd world for the Excuse of AGW, will now still be demanded, but maybe the banksters cut for all the carbon derivatives trading, will now be gained by processing of assistance fees? and the sale at profit of all the companies their loans and compliances sent broke? Ever since the first report in 1995 when the scientists said that man had no discernible influence on climate was later altered by Ben Santer to read the opposite, intelligence has taught us to ignore what the IPCC prognosticates. It is not easy to see why so many people have been fooled for so long. It is simple to describe it as wishful thinking but that may do them an injustice. In other words, they don’t even know whether climate extremes will get larger or smaller. I would suggest the Telegraph headline is an exaggeration. The Telegraph report also says: “It is also difficult to attribute an increase in tropical cyclones to climate change because of the complexities of the global weather system”. It is difficult for a very simple reason: the overall intensity of tropical cyclones has been falling for the last few decades and currently we are experiencing very low levels. Again the Telegraph mentions sea level rise. Of course, sea levels have been rising since the last ice age and there was no acceleration in the last century. For several years there has been no net sea level rise and in 2010 sea levels actually fell around 6 mm. Finally, actual data shows that deaths from extreme weather events is at a historical low. After 150 years of global warming mankind has prospered. I suggest that people, including Telegraph reporters, should ignore the doom-mongers such as Al Gore and look at the actual data. History shows that the doom-mongers are always wrong. Having said that, I believe that climate change does pose a great threat to the wellbeing of mankind. The real danger is that, because of the climate change delusion, governments around the world may squander trillions of dollars in a doomed attempt to solve a problem that almost certainly does not exist. Our carbonaceous companeros have decided to go on vacation during the cold half of the 60 year climate cycle. Vindication for Scafetta. There’s a saying regarding advertising: “The large print giveth, the small print taketh away.” The same can be said of this IPCC report. If you are a parrot or a cheerleader, you just mindlessly mouth the headlines. If you are actually a journalist or an analyst, you have to read the fine print and think about the implications. Climate extremes, exposure, and vulnerability are influenced by a wide range of factors, including anthropogenic climate change, natural climate variability, and socioeconomic development. Climate change may be due to natural internal processes or external forcings, or to persistent anthropogenic changes in the composition of the atmosphere or in land use. The uncertainties in the historical tropical cyclone records, the incomplete understanding of the physical mechanisms linking tropical cyclone metrics to climate change, and the degree of tropical cyclone variability provide only low confidence for the attribution of any detectable changes in tropical cyclone activity to anthropogenic influences. Attribution of single extreme events to anthropogenic climate change is challenging. Projected changes in climate extremes under different emissions scenarios generally do not strongly diverge in the coming two to three decades, but these signals are relatively small compared to natural climate variability over this time frame. Even the sign of projected changes in some climate extremes over this time frame is uncertain. For projected changes by the end of the 21st century, either model uncertainty or uncertainties associated with emissions scenarios used becomes dominant, depending on the extreme. Many headlines are being attached to this report. For example, of these two which is the more accurate (spins less, is less biased)? 2)	Natural Variability to Dominate Weather Events over Coming 20-30 Years. Inquiring minds need to know, and dare not trust others to do the work. The news media seems to believe it is their job to push the extreme AGW paradigm by selectively reporting weather events. 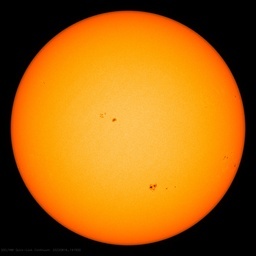 In the past when the sun changed from a very active set of magnetic cycles to a Maunder minimum the planet cooled, It will be interesting to see how the issue of extreme events plays out if there a series of extremely cold winters. Frigid temperatures are not uncommon in Alaska this time of year, but the brutal cold currently gripping Fairbanks has reached a historical status. Never before since record-keeping began in 1904 has Fairbanks endured such a streak so early in the winter season. The previous record was only two consecutive days in 1989. I tend not to believe anything comming from the IPCC. So, is this a trick? Are they just playing dead? SREX confirms my view on the last 10-years global temperatures, and forecasts 20-30 years more of real decline? You remember that thing we discussed some time ago? You said that the oceans only gives up 20% of its solar heating which would explain matters with the CO2. I did some checking and testing on this. It did not work out as you predicted. if you pick a red area you will mean temperatures rising. So, seeing that the overall chart shows more red (the earth is blooming) it explains the extra warming noted of the past decades. It is more vegetation that traps more heat. The report is claptrap. Mother Nature determines what the climate in the future will be based on a criteria that only Mother Nature knows. There is an astounding arrogance in people that think they can predict the future based on the past, using data “arranged” to prove what they want it to prove. Let’s keep in mind that by the time their predictions are supposed to occur (at the end of the 21st century), the most accurate prediction is that most of those who write this tripe will be dead, and blame becomes useless. If the IPCC-funded models report that their projections are too uncertain to be relied on for a century or so, it will mark the first time they’ve been accurate.